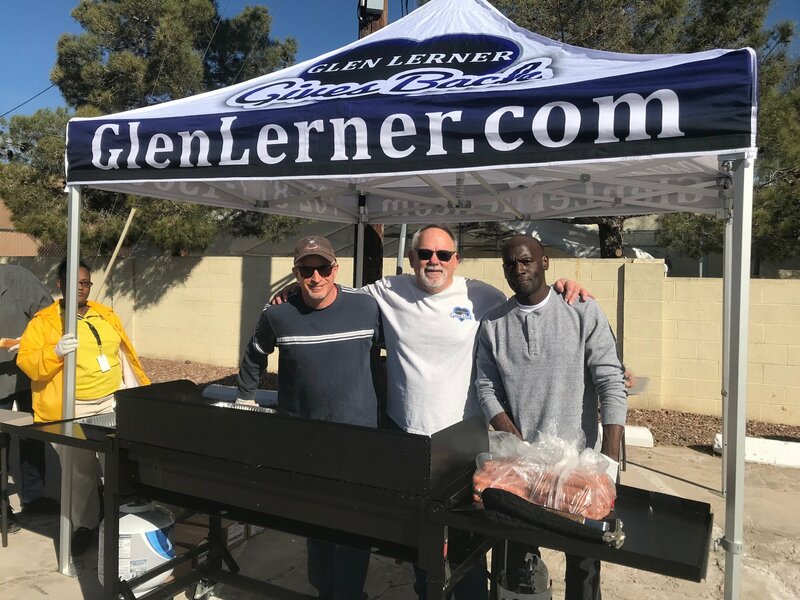 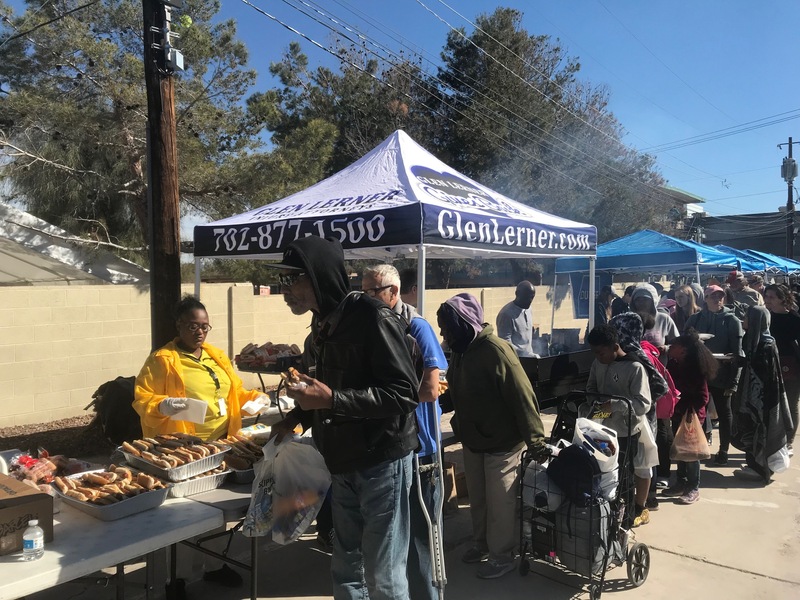 Yesterday’s Las Vegas 2,000 Presents Giveaway community event was one of the best ever for our Glen Lerner Gives Back outreach team. 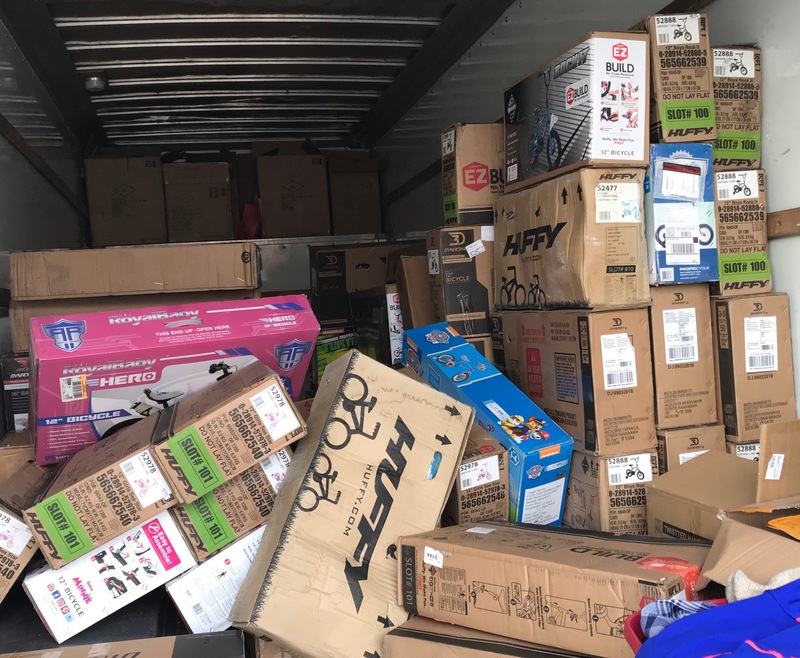 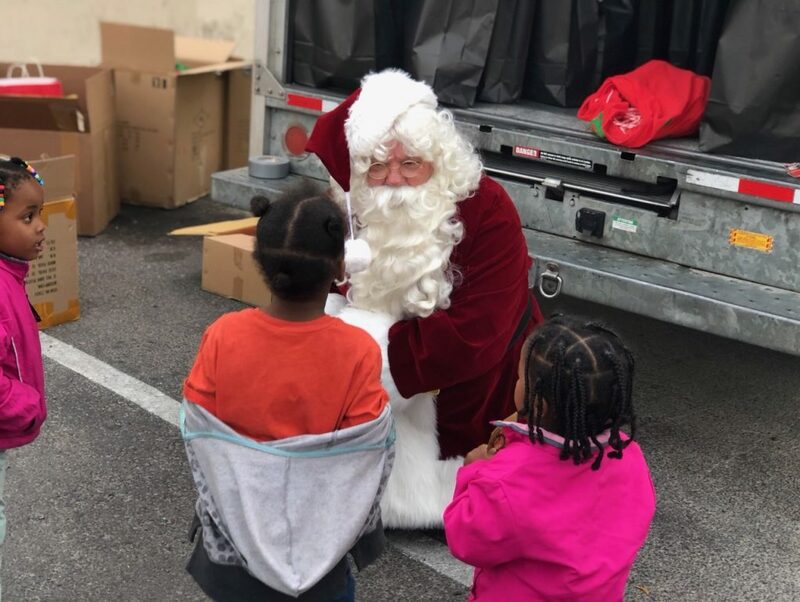 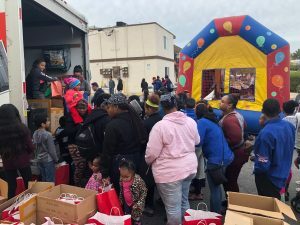 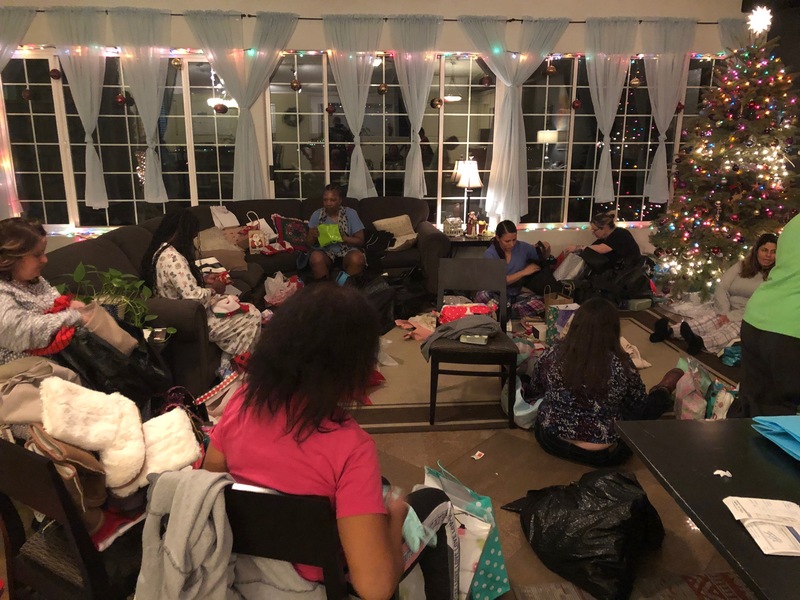 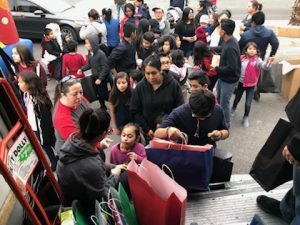 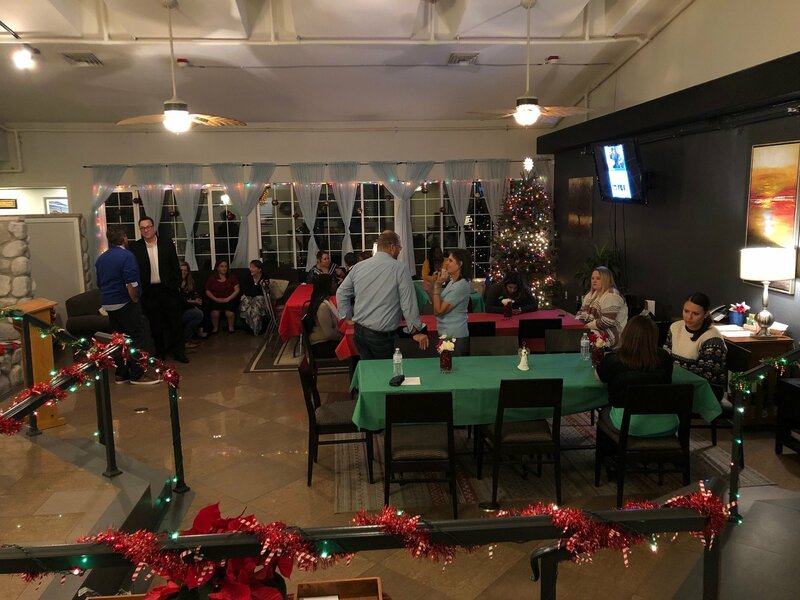 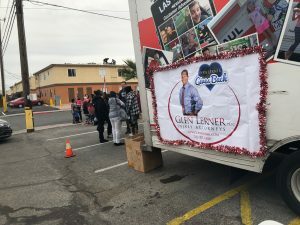 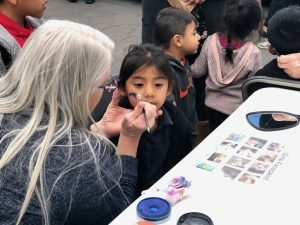 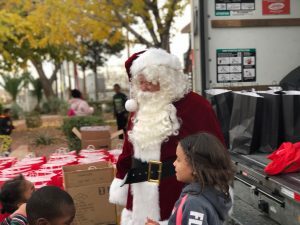 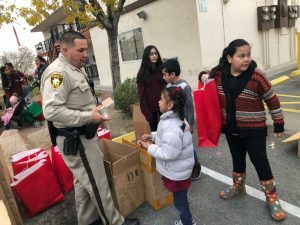 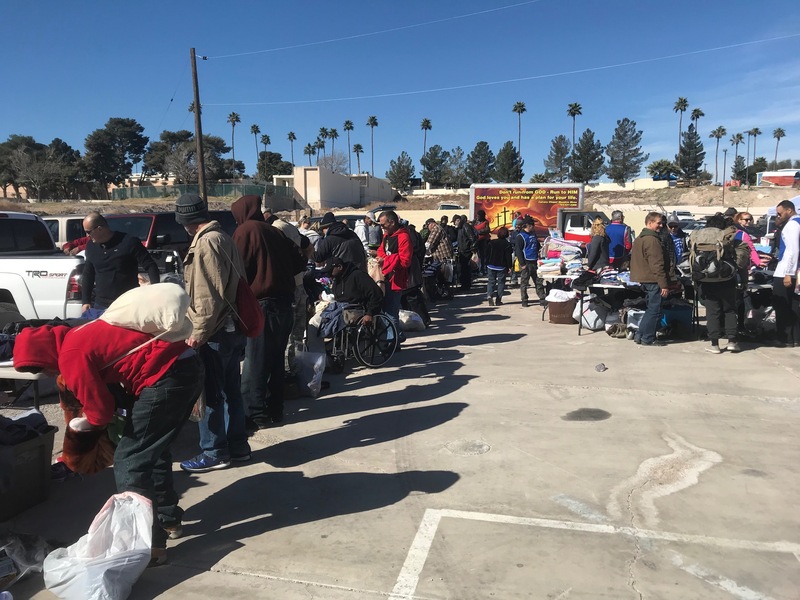 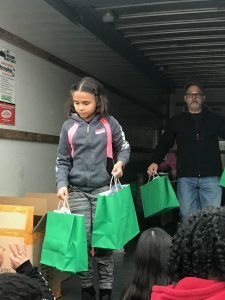 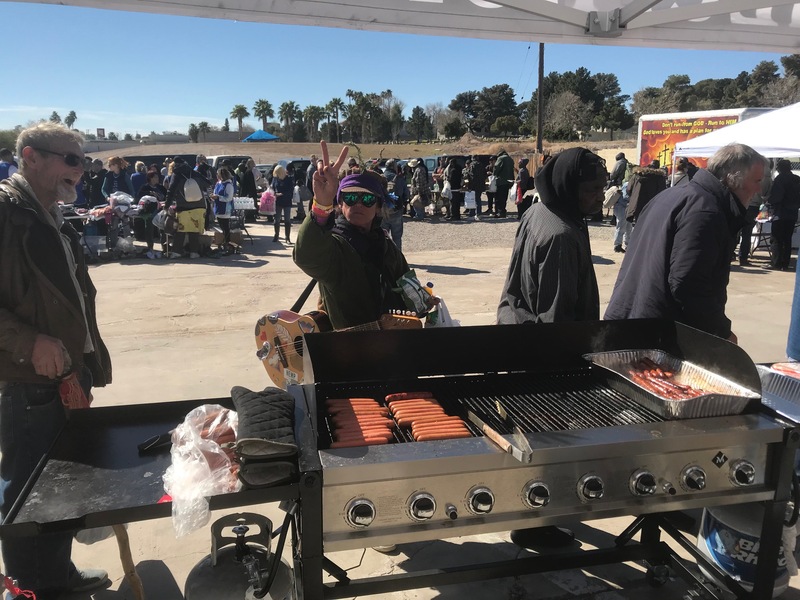 Las Vegas Metro Police Department (LVMPD) closed off the alley in between Pennwood and Silver Dollar, near Arville where 2,000 presents were given away in 1 hour and 57 minutes; and not one child left empty handed. 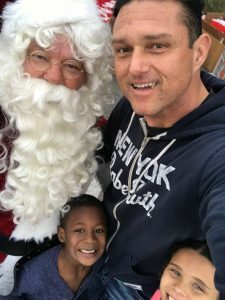 Santa arrived and passed out candy canes and took pictures with all the children, and a few parents. 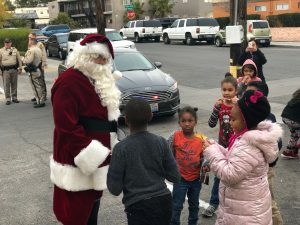 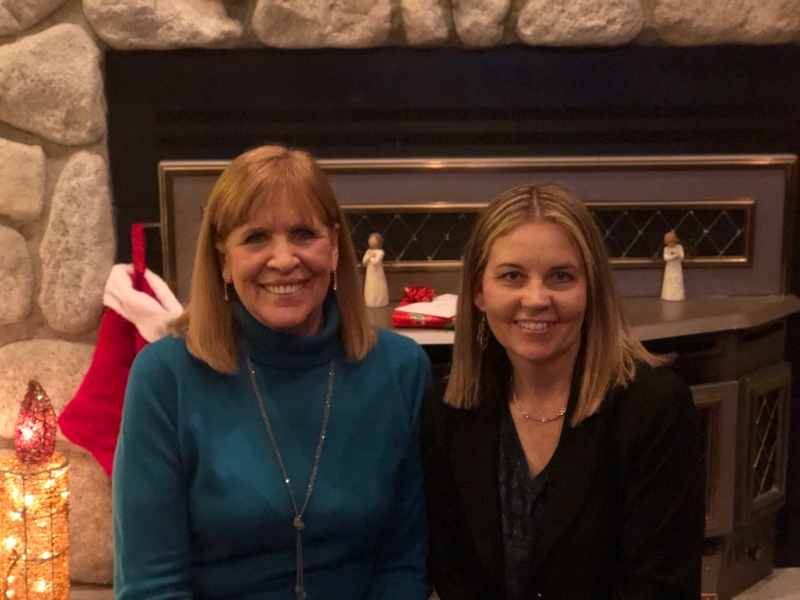 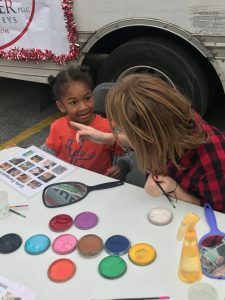 It was a good time for all and a special time for the children to meet and get pictures taken with Santa. 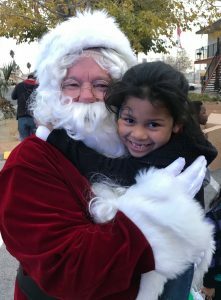 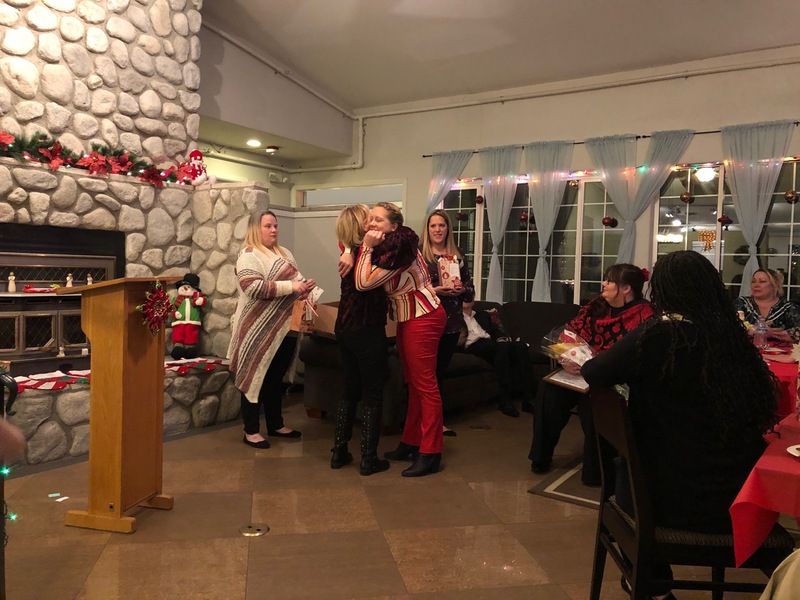 Santa received lots of smiles and hugs as well. 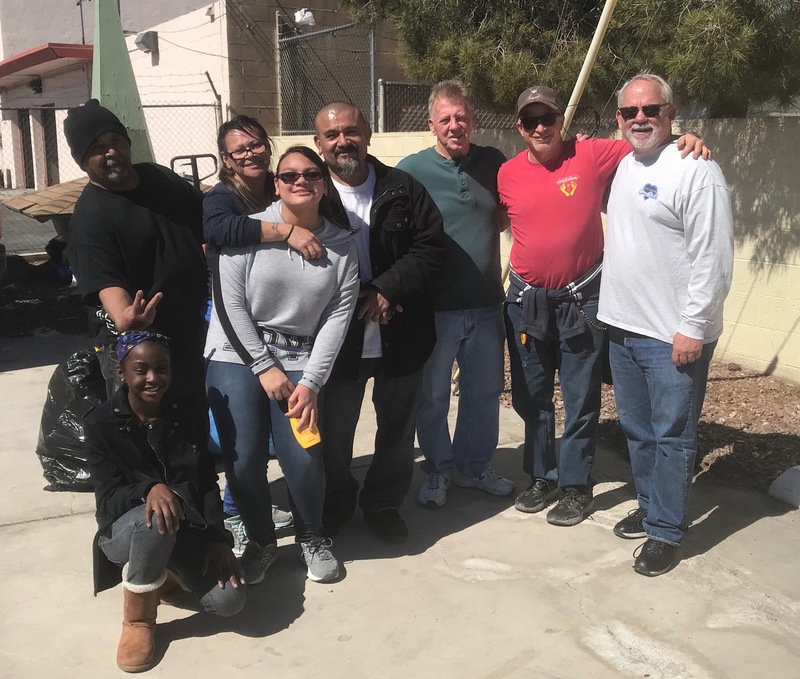 It was a blessing to partner with Calvary Chapel Lone Mountain, who supplied over 20 volunteers. 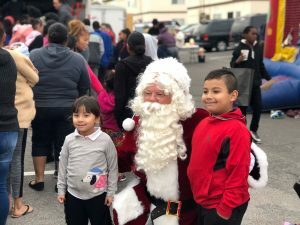 Calvary Chapel also provided a jumpy house, games, face painters, popcorn and hot cocoa. 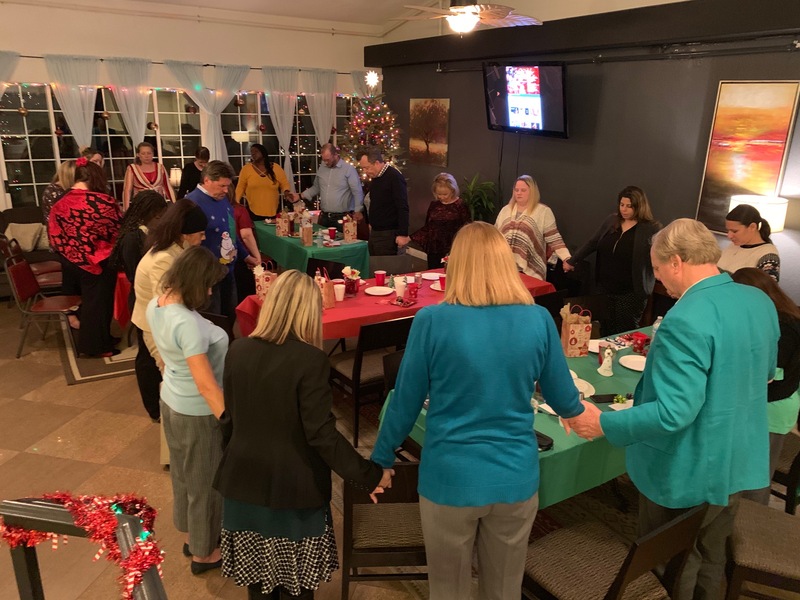 The Chapel even manned a prayer table where we prayed for those guests wanting prayer. 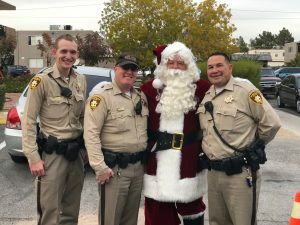 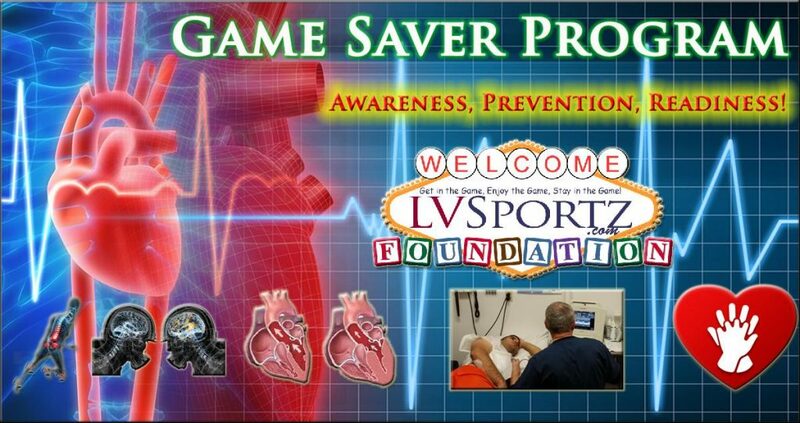 Special thanks goes out to our partners at LVMPD. 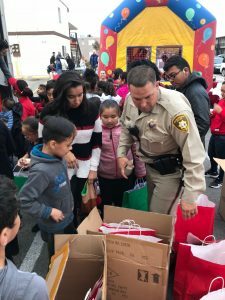 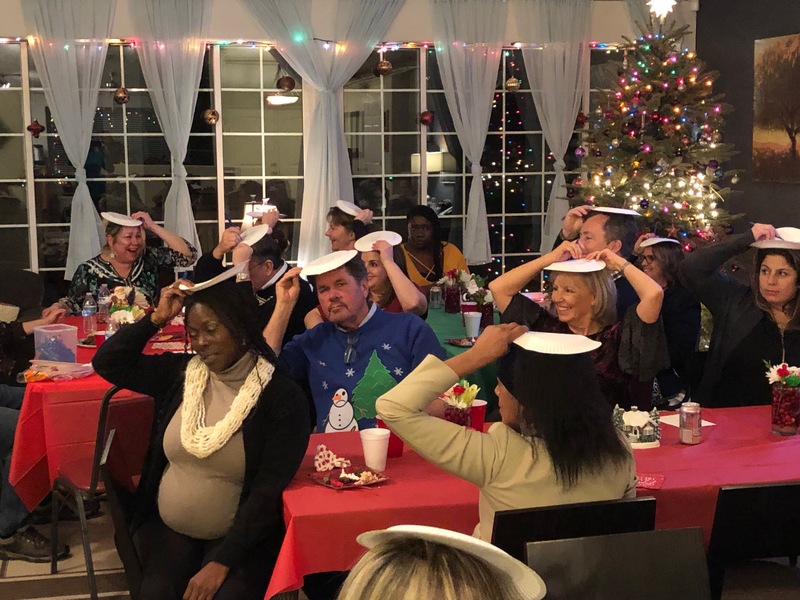 We appreciated them showing up in force to maintain a stable environment and to reinforce that the officers behind the badge are good people. 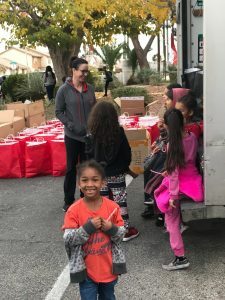 Additional thanks goes to the Las Vegas Rescue Mission. 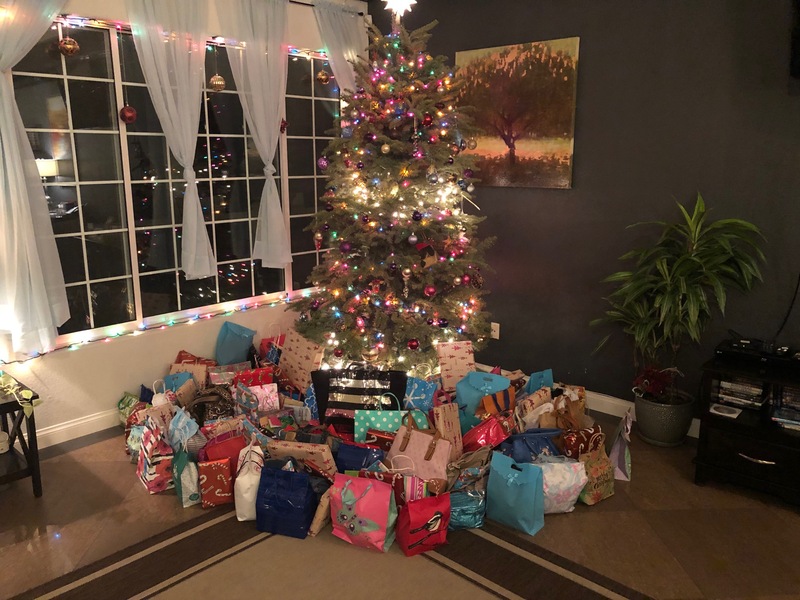 The Mission provided the space needed for receiving and storing the presents. 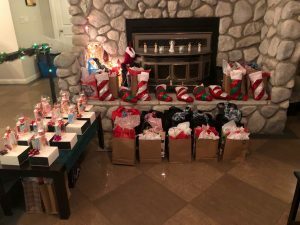 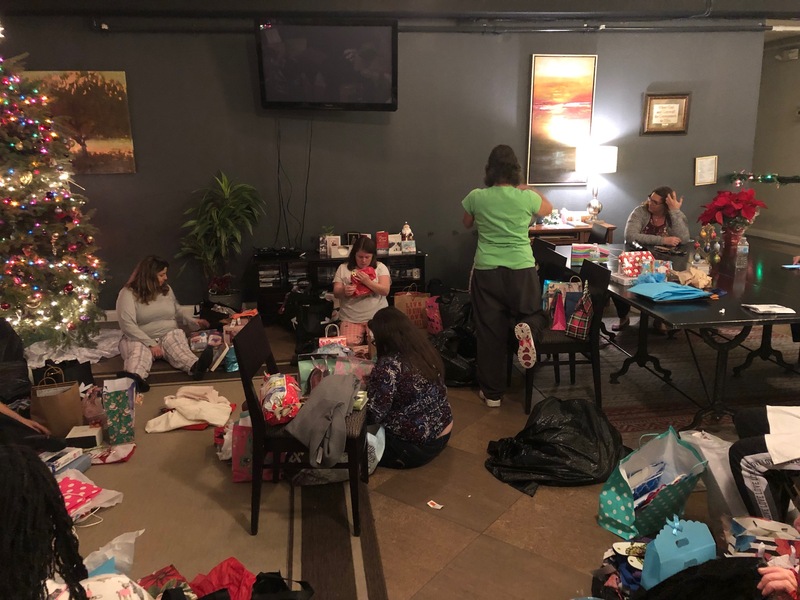 The Mission also provided space the assemble each gift bag that was filled with love and toys.